To get to Davao is as easy as boarding a plane to Davao International Airport. A growing number of domestic and international tourists come to Davao, eager to discover the lush countryside and the many adventures waiting to be enjoyed, on the rivers & waterways, and in the mountains. Davao is home to Mount Apo – the highest mountain peak in the Philippines. 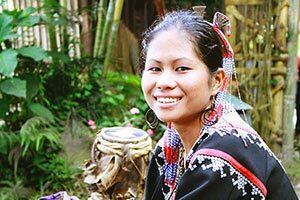 Tourists also come to Davao to enjoy the rich cultural legacy embodied in the 18 indigenous tribes of Mindanao. For thousands of years the mountains and valleys of this tropical paradise have been home to the colorful patchwork of advanced and peaceful cultures, living in harmony with Nature's blessings. In an effort to sustain their unique cultures and languages, many of these indigenous peoples have embraced the adventure traveler and created cultural villages. The cultural villages provide the indigenous people with a chance to share their unique lifestyles, and to offer spiritual and medicinal advice, derived from centuries of studying the rainforest, along with agricultural produce and exquisite handicrafts for sale to visitors from around the globe. Davao City and the adjacent provinces (Davao del Sur, Davao del Norte, Davao Oriental and Comval) are connected to the rest of the Philippine Islands via a network of domestic flights landing at Davao International Airport - the flight hub for travel to other parts of the island of Mindanao. Flights are offered by airlines such as: Cebu Pacific Air, Air Asia Philippines, Philippine Airlines and PAL Express. 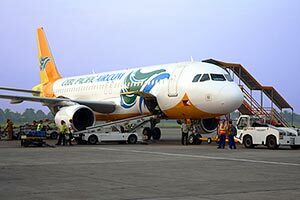 Because Davao International Airport provides the gateway to the southern Philippines it is served not only by domestic airlines but also by international flights such as: Silk Air (Singapore), Cebu Pacific (Kuala Lumpur), Cathay Dragon (Hong Kong) and XiamenAir (Jinjiang, Fujian) . . . if your are traveling from Austral Asia-Pacific or from Europe then flying to Davao via Singapore is probably the best choice, otherwise connect through Manila's international airports NAIA (Pasay City) and Clark (Angeles City).